I’m obsessed with travel “stuff”!! I scour the internet, other blogs, outdoor stores, everything I can find looking for items to make our travels easier. I’m also obsessed with packing as light as possible, preferably carry-on only if I can. This means I need multi-purpose items taking up minimal space. Here’s my ultimate list of the best travel brands you need to know. As I find more awesome things I’ll be sure to update!! And be sure to check out my packing list at the bottom to see how they all work together! This is a fantastic company and if you don’t know about them you need to! They make more than just travel clothes, and all their designs are well thought out and well executed. I personally have the Travel suit, Travel Cargo pants, High waisted Yoga pants and Travel yoga skort. Randy has the male travel cargo pants. The fabric is comfortable and some even wick sweat. The travel clothes have hidden pockets, are incredibly versatile pieces, and they’re designed with the traveller in mind. I love that all the designs are crowdfunded, so you can vote on products that you’d like them to produce next. It’s a great business model, on top of being great travel clothes! Encircled creates great multi-functional pieces. It’s a Canadian company with everything designed and hand-sewn in Toronto using environmentally sustainable fabrics. I have the Chrysalis Cardi and the Dressy sweatpants. It took a few tries in front of the mirror to figure out how to work the Cardi, but it truly is a multi-purpose piece. I find it’s best for work trips and warm weather vacations, not as much for backpacking and adventure travel. It works as a scarf, short-sleeved cardigan, shirt and dress. I even wore it as a dress to a destination wedding! The dressy sweatpants work for everything! They’re comfy to travel in, can be pushed up into cropped pants for warm weather, dressed up for a work meeting, or worn to lounge around the house. It’s hard to beat merino wool for travel, and Icebreaker makes the best merino wool. It can be a bit pricey, but like everything you get what you pay for. It’s high quality, and isn’t itchy at all. You also only need a few key pieces, so you don’t need to go crazy. A pair of leggings or long-underwear, a couple t-shirts or tank tops and a long-sleeve shirt is enough. Our girls even have some leggings and light weight long-sleeve shirts. They’re great for keeping away the sun and bugs without overheating. This is our go-to brand for underwear both for Randy and myself. It’s moisture-wicking and incredibly fast-drying. We exclusively travel with Exofficio underwear! I also have a couple tank tops made of the same material that I wear under almost everything, and Randy has a couple t-shirts. They have a whole line of “bugs away” clothing, all permeated with permethrin. 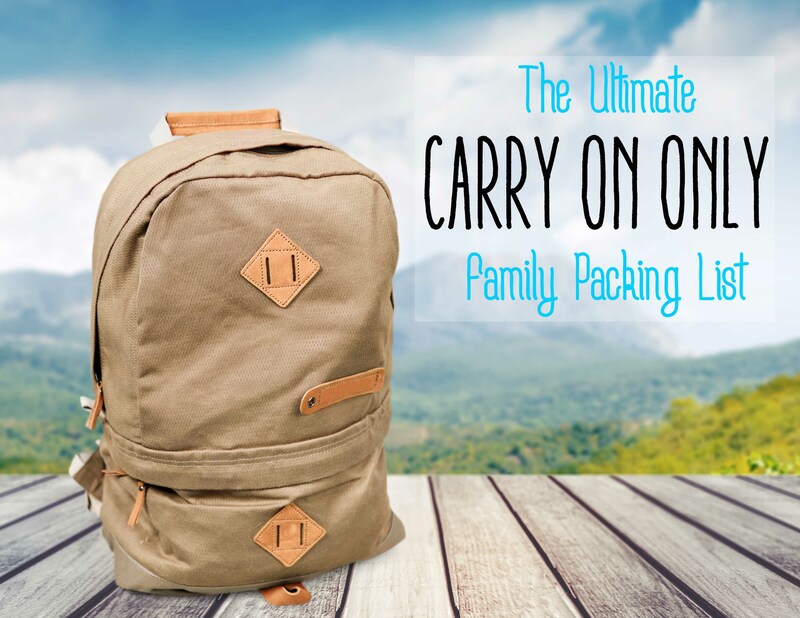 These are great for everything from camping & hiking to an African safari! Randy and I own his & hers lumen hoodies and we both love them. They’re fantastic for adding a light long-sleeve layer, and it’s nice to have the extra bug protection. I love my tieks! I wear them multiple times a week to work and bring them with me when I go (almost) anywhere. They can be dressed up or down, pack up nice and small, and are super comfortable. They take a little while to break in (the tops of my feet would go slightly numb for the first few weeks of wearing them), so don’t buy them and leave on a trip with them right away. Once they’re broken-in they can be worn for hours of comfortable walking. I probably wouldn’t want to hike up a mountain in them, but they hold up to a day of sightseeing in Europe. I have plain-old matte black, but when I’m ready to break-in another pair in I’ll definitely be adding some colour to my collection. My only caution is that if you need arch support you might not be able to wear these walking all day. For warm-weather travel or an all inclusive vacation, these could be all you need to pack! The tops and bases are interchangeable so a few pieces turns into a variety of different shoes. In the interest of packing light I’ll often take one base and two tops; one dressy and one for walking. The nice thing is that adding a third (or fourth) top doesn’t really take up much more space! They’re flat shoes so you don’t have a lot of support for walking all day, but they do work for short bursts at a time, like walking on the beach or going for dinner on a Caribbean island! If you have a high arch or foot problems, you’ll probably want to look at something with a little more support. These are the ultimate travel walking shoe in my opinion. They’re light weight, SUPER comfortable (they feel like walking on a cloud!) and dry quickly. They’ve got loops on the back so you can carabeener them to your backpack. They do look a little bit like water shoes, but the function really outweighs the fashion. Plus, the newer styles look less like water shoes than they used to. An added bonus – you CAN wear them as water shoes if you want! The alternative to these would be Toms, which admittedly are WAY cuter. But, the quick drying material and the sturdier base of the Sketchers make them the clear winner in my book. The Go-Walks of sandals. The Yoga mat base is comfortable for a whole day of walking, and the fabric top hugs your foot for superior support. They can get wet, don’t end up getting too sweaty, and can easily hang off the outside of a pack. And, they’re available all the way down to toddler size 7/8. The females of my family all travel with a pair of these. Sadly there’s no male equivalent. (Randy just brings his Nike flip flops and he’s happy). It seems like every family travel packing list I read raves about Keens sandals. I just can’t bring myself to buy a pair. Sanuks offer comparable comfort and wearability with a better aesthetic (i.e. they’re way cuter!!). I do, however, love the Keens waterproof hiking shoes. They’re great for both city strolls and mountain hikes, and keep our kid’s feet dry in the rain. It’s hard to find comfy shoes that can be dressed up, worn to the beach, and rinsed off in the sink! Ipanema sandals do all this, they’re so versatile. Some of the styles are dressy enough to wear out for dinner, but still casual enough to wear walking around town or to the beach. They’re also jelly shoes, so they won’t get wrecked in the rain. They also dry really quickly. You can hang these on the outside of your pack, or dry them with a towel and stuff ’em inside. And best of all, they’re actually comfortable (if you don’t need much arch support!). The world’s smallest washing machine! This tiny little scrub bag is great for washing clothes on the road. No more hotel sinks needed. It’s light weight, can double as a dry bag (I love when items will do double duty) and washes clothes better and faster than any sink wash. Combine this with their “dryer”, a microfiber towel you ring out the clothes with before hanging them up, and a travel clothesline, and you have your whole laundry room in one compact bag. I don’t know why it took me so long to discover this brand. It’s simply genius. The big backpacks are all a bit bulky for me, but I love the purses, shoulder bags, and other anti-theft items. I have the Citysafe LS200 purse, and Citysafe CX daypack and Randy has the Instasafe Z400. The daypack is new and it’s one of the first items they’ve come out with that’s actually cute! It’s great to have style and peace of mind all in one item. It’s such a relief to walk around a busy city and not worry about your purse being slashed off your shoulder! We always travel with a water bottle. It’s nice to have them on planes to stay hydrated and decrease jet lag. They’re also great for other forms of transportation where stops may be infrequent, or even just for sight-seeing. A re-useable one has the benefit of being slightly better for the environment, and a collapsible water bottle takes up almost no space so it’s easy to stuff out of the way when you don’t need it. We usually travel with a 1L and 500mL bottle each. They’re so small and lightweight that we don’t mind having extras, and we have enough when we’re on a long train ride, ferry ride, etc. Our pack towels, dry bags, sleeping bag liners, solid travel soaps, kid’s backpack rain covers, mosquito nets and stuffable daypack all come from Sea to Summit, an adventure-based company out of Australia. Their products are well made and great for travelling. They also have a number of items permeated with permethrin (anti-bed bug sleep sacks and mosquito nets), but they’re not available in Canada sadly. I have to stock up when I’m in the USA!! Do you have a travel brand you love that I’ve missed? Let me know! I’m always on the look out for something new and exciting to add to my “collection”. Pin me for later so you don’t lose it!! Check out my post on What to Pack for Multi-season travel in a Carry on Only. This post contains affiliate links. By purchasing through these links you don’t pay any more, but I get a small (teeny tiny) percentage. Thanks for your support! These products look super handy — I’ve never really done long-term travel, but I think I’d need a few pieces like these to make it work out with the limited space. I especially like the thing that can be like, 3 different dresses and shirts all in one. Looks like magic! It pretty much IS magic!! It took a few attempts to figure it out, but once I did it’s been fantastic. I’ve even used it for week-long trips to a resort or weekend trips for business. I definetly need some more travel friendly items in my wardrobe lol I tend to only bring jeans and t-shirts with but I’m going to Paris this summer and that won’t fly there. I’m definetly going to check out Encircled because I’ve seen a few people talk and rave about it now! I love my cardi, and I especially love my “dressy sweatpants” from encircled. They’re super comfy and cute all at the same time! Have a blast in Paris, it’s one of my absolute favourite cities.